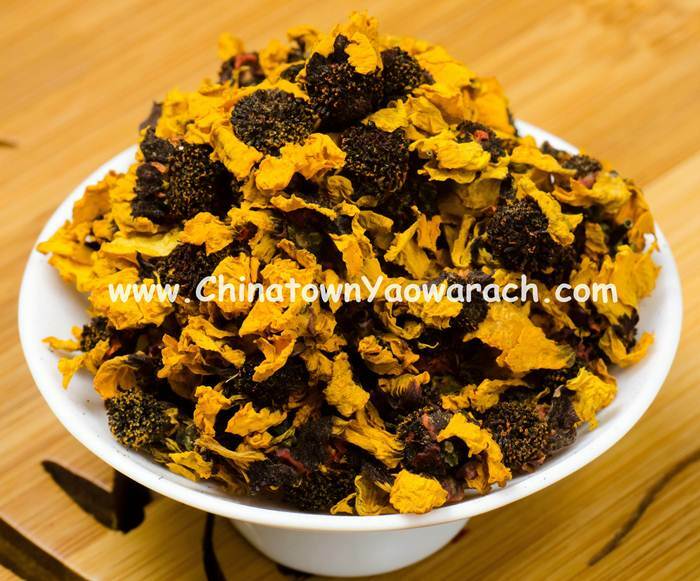 Kunlun Mountain Snow Chrysanthemum type A. The flowers look like daisies with golden pedals and brown stamens. The liquid has a amber color and a sluggish texture that is similar to blood. And it also has a pleasant herbal scent and a hint of Puer tea aroma, as well as a lingering sweetness to your pallets.